Peter Gilbert Summers F.S.A. F.H.S., Bursar of Kinsgwood School, 1945-1969, was a founder member of the Society and the genius behind the national survey of funeral hatchments, eventually published as the ten-volume Hatchments in Britain. 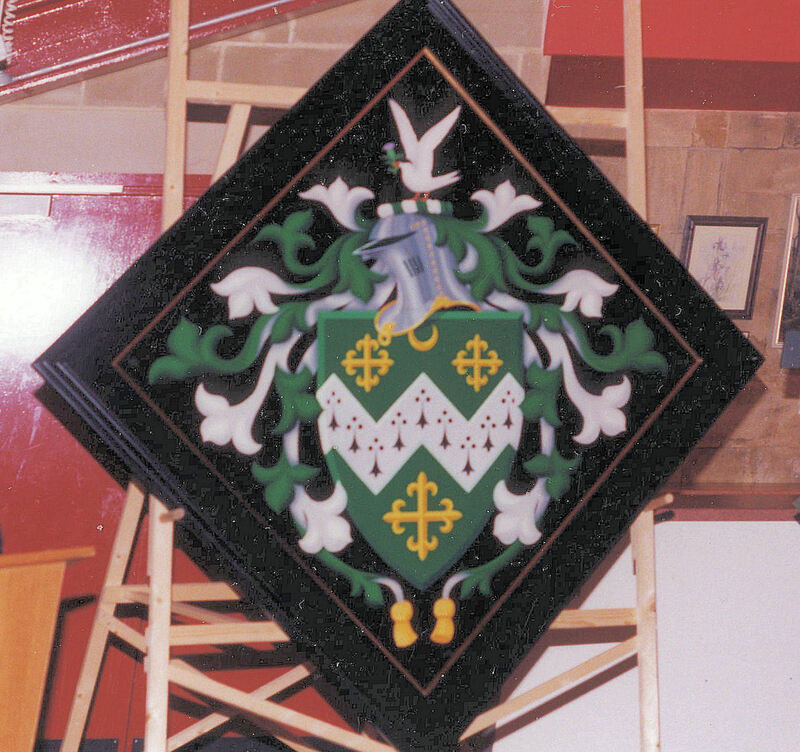 It seems appropriate to show his hatchment here, painted by Tony Griffiths, B. Arch. following Peter's death in 1994.